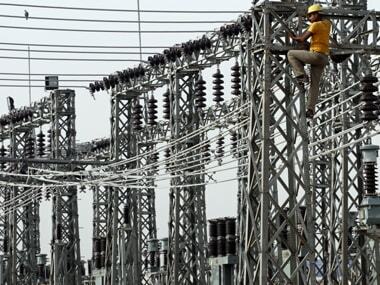 New Delhi: The 15 states which have so far joined the Centre's UDAY scheme to revive power units, will see losses coming down to 28 paise an unit by fiscal 2019, from 64 paise in fiscal 2016, according to Crisil. "Crisil estimates the aggregate gap, or loss, of distribution companies (discoms) of 15 states that have joined the Ujwal Discom Assurance Yojna (UDAY), would more than halve to 28 paise per unit by fiscal 2019 compared to 64 paise in fiscal 2016," Crisil said in a press release. According to the the credit rating agency, aggregate losses of these discoms will decline 46 percent to Rs 20,000 crore from Rs 37,000 crore. However, it said that the gap will still be well above the nil envisaged under UDAY because some states with very high aggregated technical and commercial (AT&C) losses have lesser preparedness to reduce it because of inadequate feeder separation, feeder and distribution transformer metering, and poor track record of other efficiencies. The ability to increase tariffs is restricted in some states as elections are due in 12 months, cross-subsidisation is high, and tariff orders are delayed, it said. The gap is calculated as average revenue realised minus average cost of supply, it added. Crisil Ratings Business Head - Large Corporates, Gurpreet Chhatwal said in the statement,"Rajasthan, Haryana, Chhattisgarh, and Uttarakhand are expected to fare better in the implementation of UDAY, so are likely to be the biggest beneficiaries. However, UP, Bihar and Jammu & Kashmir are expected to be the laggards. "These three states would account for almost two-thirds of the gap in fiscal 2019. So, concerted efforts by them will be critical to narrowing future gap." Energy requirements of discoms are expected to increase at a compounded annual growth rate (CAGR) of 7 percent by fiscal 2019 compared with around 4 percent till fiscal 2016. Yet, this will not be a major respite to generation capacities that do not have long-term power purchase agreements (PPAs), as fresh signing of PPAs seems unlikely, it said. Thats because 25,000 MW of capacities with already-signed PPAs are expected to be operational by fiscal 2019, and there will also be some pick-up in plant load factors of existing capacities because of better fuel availability. Any uptick in long-term PPA signings is possible only if discoms turn profitable by fiscal 2019, and strive to meet the governments Power for all objective. Over the past year, initiatives to increase coal production, and the 5:25 refinancing scheme of the Reserve Bank of India have reduced operational capacities at risk by 6,000 MW to 40,000 MW from 46,000 MW that Crisil had flagged, it said.